Dating apps are supposed to benefit us, not make us feel worse. 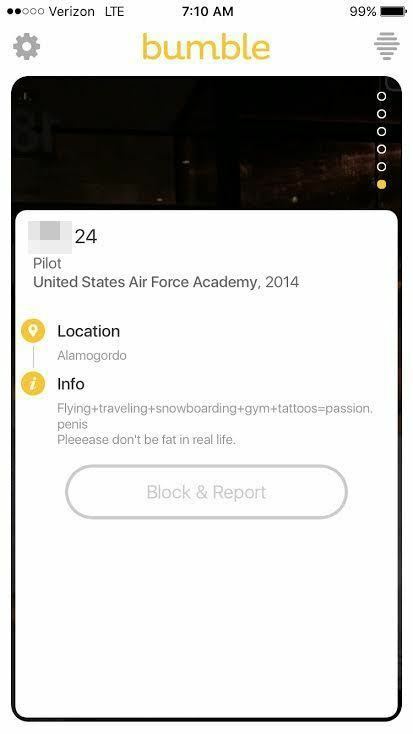 Well, Bumble just banned a user for fat-shaming someone, reported Shape. While this is ah-mazing news — and big ups to the app — it’s also upsetting that someone would fat-shame someone else in the first place. So what happened? And how did Bumble learn about it? It was thanks to an Elite Daily article in their Boom, Ghosted series. 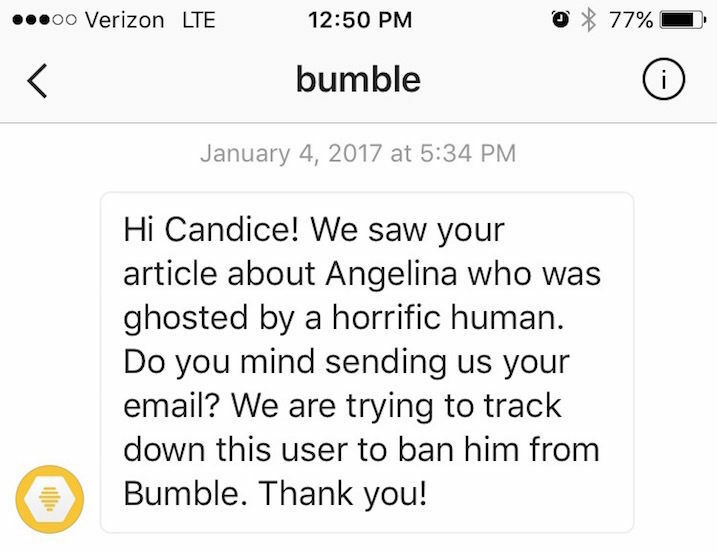 A woman, “Angelina,” sent in text message exchanges she’d had with her Bumble date. They went on one date, then he ghosted and created a new Bumble profile. Imagine Angelina’s surprise when she saw it — I know our jaws dropped. Afterwards, Bumble saw the piece and came to the rescue. They sent Boom, Ghosted’s Candice Jalili a message on her Instagram. Then, Bumble tracked the guy down and banned him. Woot-woot! 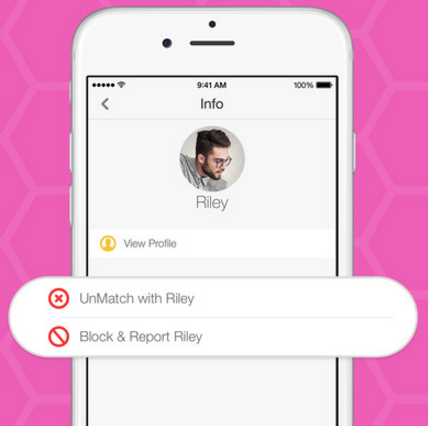 ICYMI, this isn’t the first time Bumble blocked a user. Last year, Bumble stood up for a woman who was verbally abused by a male on the app. And, as you may know, Bumble founder Whitney Wolfe, who’d been a co-founder of Tinder, had sued Tinder for sexual harassment, so she knows a thing or two about standing up for yourself — and fellow Bumble users. 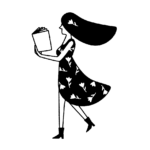 We hope this will remind people, on dating apps and IRL, to think twice about what they write and say — and to be reminded that fat-shaming is not okay. And thank you, Bumble, for sticking up for us in the meantime.